To get a glimpse of "Denis the menace" in Indian version- live, you just need to come down to Taltala, the busiest part of central Calcutta, solve the puzzle of a few serpentine lanes and catch Bilal in action. If Taltala isn't exactly into your nearest travel itinerary, don't worry, soon there will be this film -- "BILAL". 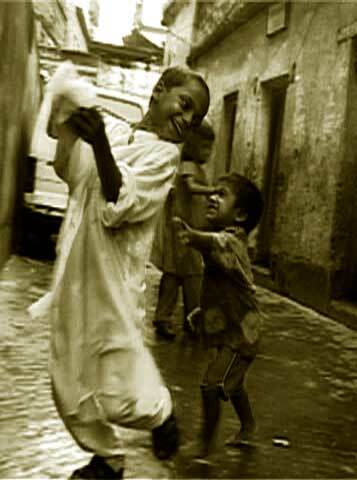 Bilal is now just three but he is never jobless - be it guiding his blind parents through most perilous traffic on earth (which Calcutta is famous for) or training up the intricate art of making false cries and whimpers to his one-and-half year brother Hamza. On such occasions Jharna, who physically cannot see what's on, is usually quick on sound - cookies are enough to end the high pitch concert, but wait - Hamza is not really willing to hand over any extra bit of his hard-earned share to Bilal, probably charging his training fee. So the younger partner qualifies to get his due from the big brother - the concert begins again with solo soprano, the best of Hamza (this time real) forcing Shamim to step in. And Shamim being the legendary no-nonsense father Bilal knows what is coming next; in no moment his forever out of sight son is out of reach too. Home is not safe for him always, which Bilal knows pretty well. The runaway prodigal tastes life on street from his elders - it's hard. But Bilal never gives up; he delivers his best in the ensuing fight (bringing shame to Bollywood movies). The chaos is total as the parents soon get involve in a high decibel exchange with choicest words - whole community is aroused. Wearing the most innocent face Bilal now guides Shamim to the spot to apologize on his behalf - he knows that he started it. Life goes on. This film is a series of observations of such small events and moments - moments of true life. Life lived in hardship by a poor handicapped couple and yet the doom and gloom cannot defeat them at all, they live in love and hope. A simple story made in a home-movie style, intimate and warm. A story how a sighted child grows up with blind parents bridging the gap between worlds of seeing and not seeing. Bilal is doing it all right - with fun! Shamim and Jharna are both twenty-seven years old and stone blind. They met in a blind school, and fell in love. They got married, despite intense opposition from both families due to their different religions. 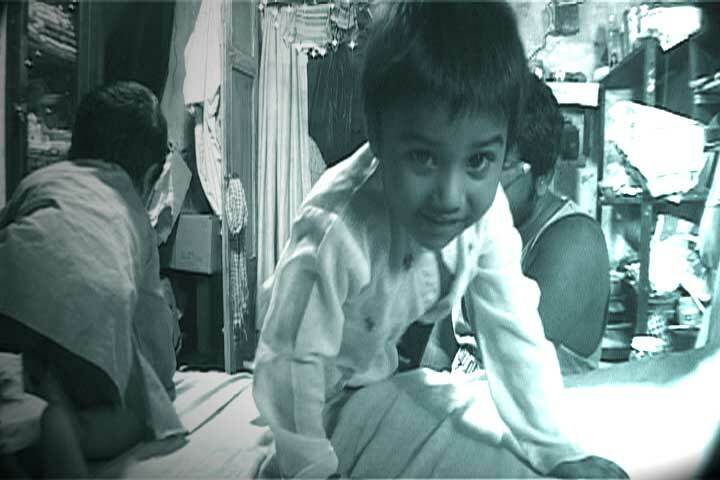 They now live with Shamim's mother in a 8 ft by 10ft room in a very poor area of Kolkata. Shamim had been operating a telephone booth, but recently he lost his job due to the insensitivity of the telecom company and the unscrupulous behaviour of a middleman. Since then he has been struggling to make ends meet and keep his family from begging on the streets. Shamim and Jharna have two kids, both with normal vision. Bilal, the older child is two years old, while the younger one is still an infant. This film is about Bilal and his special relationship with his parents and the world. Though of a very tender age, Bilal is fully aware of the physical handicap of his parents. He knows how to communicate with them through sounds and touch. For example, when Jharna brings him some food and he refuses it, Bilal does not simply push away the food. He takes Jharna's hands to the food to show that he is not having it. If Bilal is happy with us, or his grandmother, he would smile, but if he wants to tell his parents that he is happy, he will go and hug them. Both Shamim and Jharna are highly sensitive to the sounds that Bilal makes while moving, and can locate him with such ease and confidence that it is difficult to believe that they are blind. 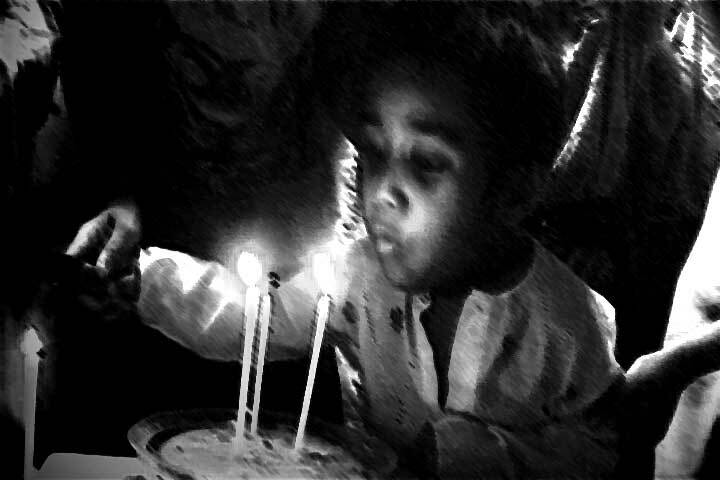 Quite often, when Bilal is in the mood for mischief, he plays a cat-and-mouse game with his parents. He would try to "hide" from them in the corner of the room, or tease his younger brother (sometimes even biting him), all the while keeping an eye on his parents to see if they can catch him. Amazingly, the odds are almost evenly stacked in most of these "contests". When Bilal does manage to confound Jharna and escape, she usually has no recourse, but to shout in exasperation. Luckily for her, all the neighbours are very sensitive to her needs. One shout is usually enough to bring out at least a couple of them and Bilal is promptly found and returned to her mother's custody. Very unusually for our times, Bilal's upbringing and care seems to have become a collective responsibility of all the neighbours, and even people with whom Shamim's family had little contact before Bilal was born now show their concern and care for him. In a way, Bilal has become their window to the world. Though Bilal is only two years old, he is already beginning to take on the responsibilities of a guardian. It is a curious sight to see the kid, almost a toddler, confidently guide his father on the streets of the city, and Shamim give in to his directions with complete confidence. Even at home, when Jharna is unable to find some object in the room, Bilal never fails to bring her hand to it.